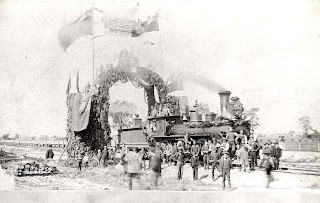 With Electro-Motive making waves in the media recently, I settled on a locomotive theme to start off the year. 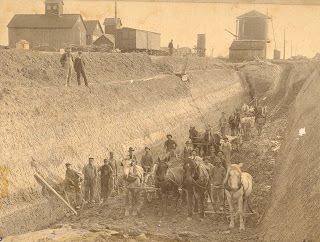 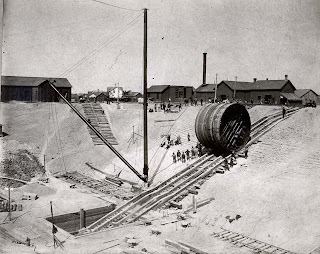 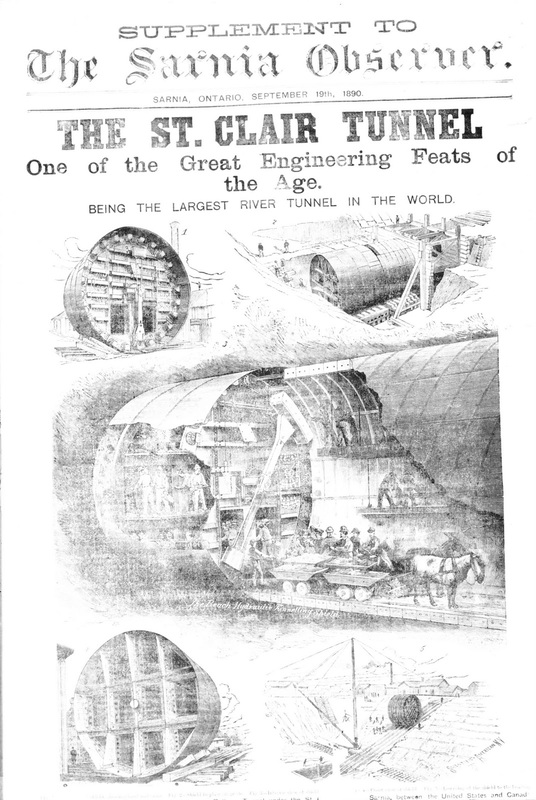 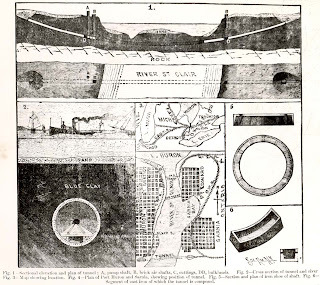 In September of 1891, Sarnia made international waves with the opening of the St. Clair Tunnel. The tunnel was a marvel of technology and a symbol of our relationship with our neighbours to the south. 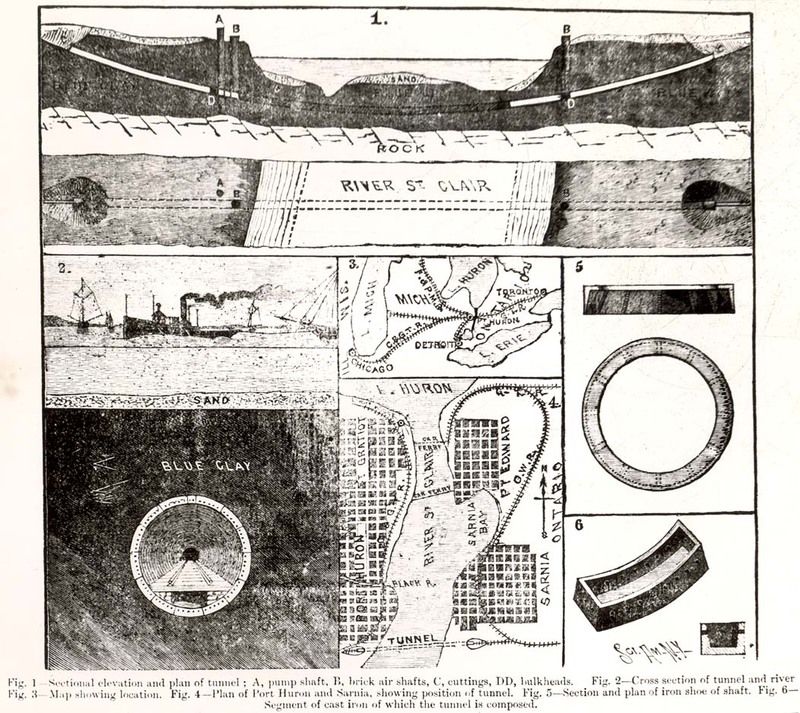 Sketches appeared in the newspaper quoted here. 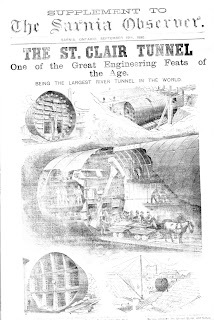 Try the website Electric Lines in Southern Ontario for more information about the St. Clair Tunnel Company, fast facts about the tunnel, and more details about its construction.